Many stringed instruments, ancient and modern, are played using a "slide" technique which allows musicians to make continuous transitions in pitch by sliding their fingers—or pieces of glass, bone, stone, ivory, metal or other materials—across the strings at the neck of the instrument. At the end of the 19th century this technique made a bold appearance in the Western world as an alternate way to play the traditional Spanish guitar. Introduced first into the popular Hawaiian musical styles of the day, the technique was not only readily adopted, but also quickly adapted. Throughout the following century it inspired the development of new instruments and was at the center of fresh musical styles and playing techniques. The Magic and Mystery of Slide Guitar revealed this musical saga through an exhibition of rarely displayed historic and contemporary instruments obtained by the Museum of Making Music from fine private collections across the U.S., Canada and India. 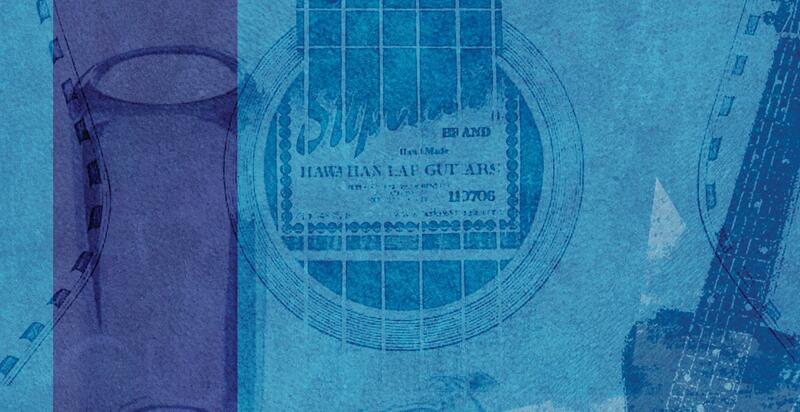 Hawaiian guitars, lap and pedal steels, as well as iconic electric and acoustic guitars are displayed alongside instruments from non-Western cultures including India, China and Japan. These instruments come to life through audio and video recordings of diverse musical styles including jazz, rock 'n roll, blues, Hawaiian, country, folk, Western swing, and world fusion.